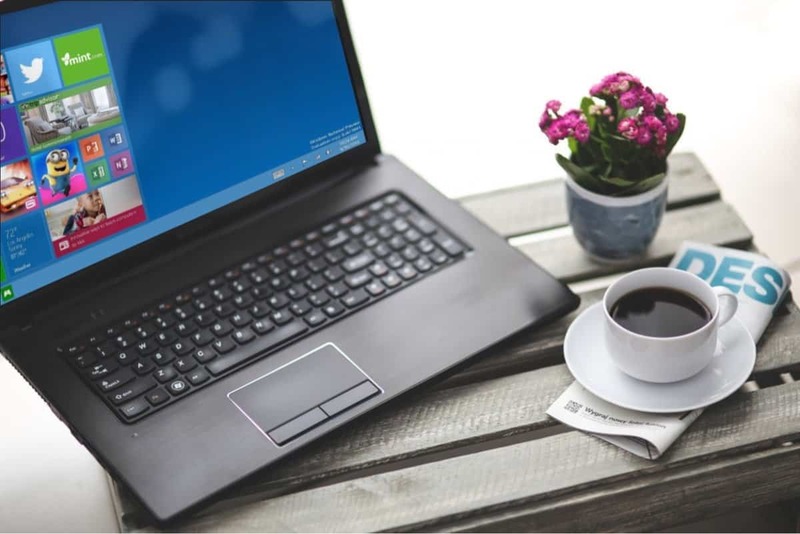 This article is all about how you can activate Windows 10 if you have lost your product key of Windows 7 or 8/8.1 and I think it will be helpful for those who want to install Windows 10 on their PCs or laptops as it is the best Windows OS so far. If you have lost your Windows 8/8.1 product key or if you have uninstalled the genuine Windows 7/8/8.1 from your laptop which came pre-installed you have landed at the right place, we will help you. Microsoft has finally taken the wraps off Windows 10, the best Windows OS so far. Microsoft had failed in its attempt to create an OS for both touch-based PCs and regular PCs, and Windows 8 was a huge headache for the company. Gradually, they worked on solving various problems and Windows 8.1 came out with some improvements, but still a touch-based OS actually. But this time, Microsoft has worked on making Windows 10 much better with the lessons from Windows 8 and 8.1 and have come up with Windows 10 which is just like a mash-up of Windows 7 and Windows 8, with the best of both worlds touch UI and UI that is suitable for usage with hardware like mouse, keyboard, touch-pad. Microsoft has even provided free upgrades to people who have a genuine copy of Windows 7 or Windows 8/8.1 installed on their PCs. But, here many people failed as people had uninstalled their genuine copy of Windows or also some people had downgraded from genuine Windows 8/8.1 to pirated Windows 7, which caused trouble for them and they were unable to upgrade. So, here’s how you can activate Windows 10 without a product key. The guide will include a few steps and I will recommend you to follow the steps one by one carefully. Upgrading to Windows 10 has been made very simple with a tool available on Microsoft’s website which will download and install Windows 10 on your computer. But those who don’t have a genuine copy of Windows installed will face problem in the process, so we recommend you to follow the alternate process and upgrade using ISO image of Windows 10. Before you download, just backup your personal data, movies, pictures and everything in a separate partition or a hard drive, however, I recommend using an external hard drive which makes the process a lot secure. After you have backed up your data, you can proceed to the next step. You can download the Windows 10 ISO from the links I have added below. Remember, use the Windows 10 RTM build 10240 for upgrading or else it is impossible. You can download the Windows 10 RTM build 10240 from the web or from the following links. You can download the 32-bit (x86) or 64-bit (x64) according to your choice, but I will recommend you download the Windows 10 32-bit if you have 4GB of less amount of RAM and 64-bit if you have RAM higher than 4GB. Create a bootable USB drive using Rufus which is a great tool for creating bootable USB drives. I think you have already backed up all your data. 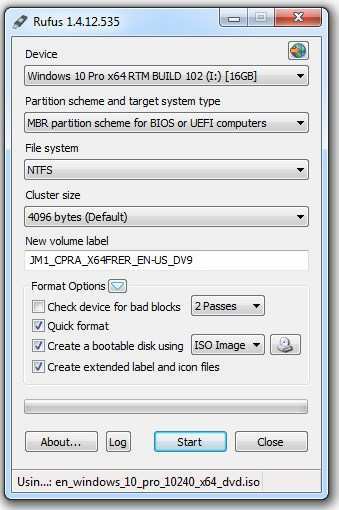 Just create a bootable USB drive using Rufus and follow the setting as shown in the screenshot below. It will take around 5-10 minutes to create the bootable USB and when the process completes, shut down your PC and plug in your USB. When prompted, boot from the USB and follow the instruction to install Windows 10. NOTE: YOU CAN ALSO USE A DVD INSTEAD OF AN USB DRIVE FOR THIS PURPOSE. While installing, it will prompt you to enter your product key. Just skip this option and continue. After the installation is completed your PC will reboot. After you have installed the Windows 10 and logged in you will be prompted to enter the product key to activate Windows. Now, you don’t have the key right? Don’t worry, nowadays most of the OEM embed the product key in BIOS. So, you can extract the key from the BIOS and use it. Just install NirSoft Product Key which is a great tool to find out product keys installed on your system. After you have downloaded, just run the program and you can see all the product keys which you can see in the screenshot below. You can try the key you recovered from your BIOS. However, this may not work for everyone. If it does not activate follow the next step to activate Windows 10 without a product key. 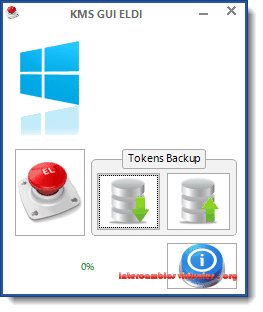 KMS has been a great tool for activating Windows and Office products and it also works for Windows 10. However, there will be many links to the latest KMS which lead to surveys or ask you to install software. Sometimes, you may also get some malware downloaded with the tool. So, here’s the clean installer which includes no adware/malware or asks for surveys and you can download it from the following links. Download from any of mirrors. Before you install, disable the Windows Defender real-time protection as it thinks that the program may hurt your system. This is because some system parameters are modified in order to activate Windows 10 without a product key and hence the Windows Defender alarms you. After you have downloaded run the installer. Just click next, agree to terms and conditions and install it. After you have installed KMPSPico, run the program as administrator and click on the activator button as you can see in the screenshot. Wait a few seconds while it activates Windows 10, while activation is complete it will exit automatically. Now just restart your computer and enjoy Windows 10. So, this was our guide on ‘How to activate Windows 10 without product key‘. 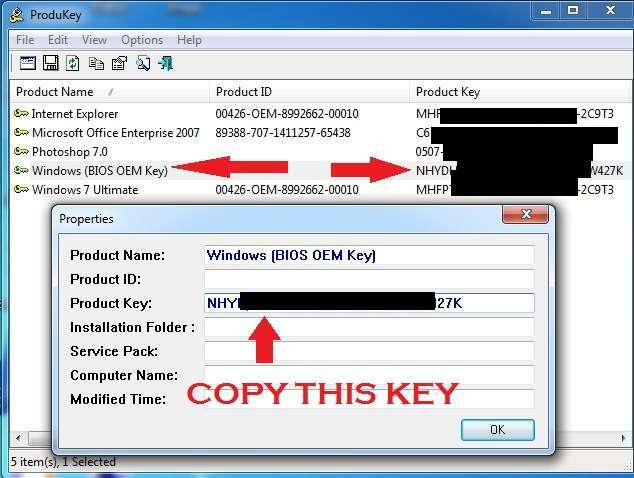 Hope, you will find it useful in case you have uninstalled the genuine Windows 7/8/8.1 or if you have lost your product key. Regarding the download links for KMS, these links will show ads for just 5 seconds and we are using it as it helps to fund our website. Also, I will be uploading the KMS tool which does not contain any add-ons or offers as well. The links will be updated soon. So, now you know how to activate Windows 10 without a product key and if you get benefited by this article, feel free to share it with your friends who are in trouble and help us grow. Have a nice day!! DISCLAIMER: THIS GUIDE ABOUT “HOW TO ACTIVATE WINDOWS 10 WITHOUT PRODUCT KEY” IS ONLY FOR THOSE WHO HAVE LOST THEIR PRODUCT KEY/UNINSTALLED GENUINE WINDOWS AND NOT FOR USAGE BY ANYONE WHO ALREADY HAS GENUINE WINDOWS INSTALLED. KMS WAS NOT DEVELOPED BY IGADGETSWORLD AND NEITHER IGADGETSWORLD/THE IGADGETSWORLD TEAM OR ITS PARTNERS ARE RESPONSIBLE FOR ANY KIND OF PHYSICAL/FINANCIAL LOSS, LEGAL ACTIONS OR COPYRIGHT VIOLATION YOU MAY FACE FOR USING THIS TOOL.